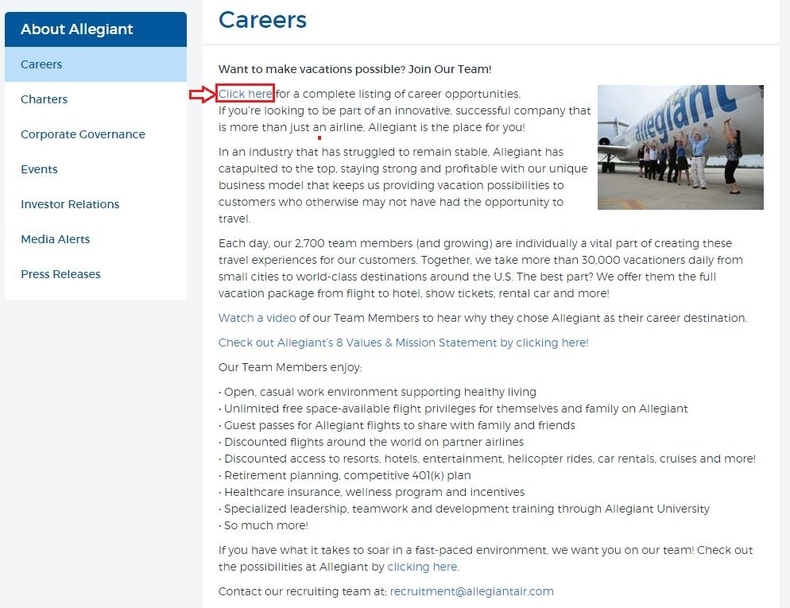 Visit allegiantair.com/careers or allegiantair.com/jobs to land on Allegiant Air careers page. Click the link as the arrow directed for a complete listing of career opportunities in Allegiant Air. Browse the job listing and select one that best fits your appetite and click the title. 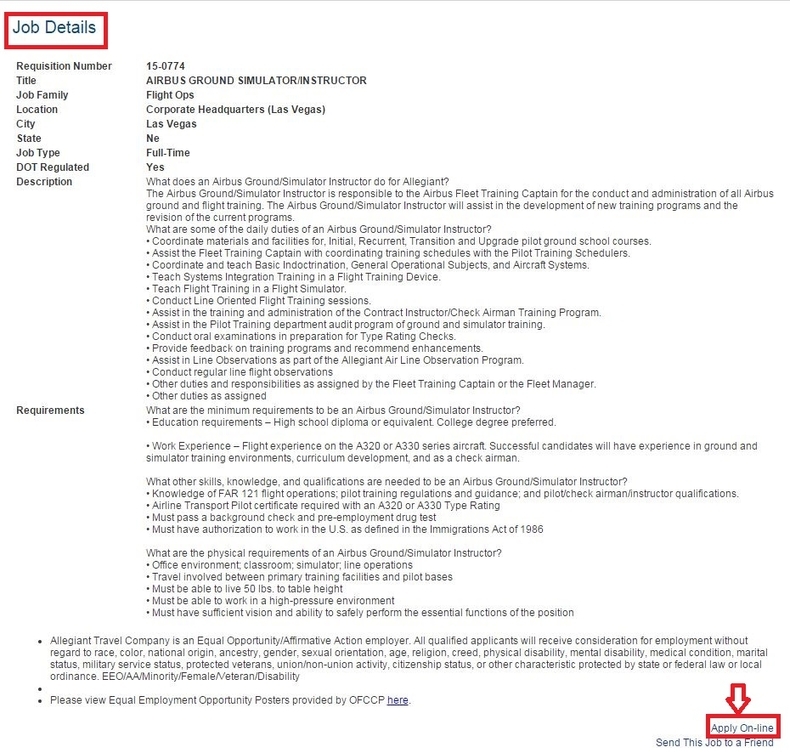 After you locate the exact job and click the title, you'll be led to the page shown below asking you to read job details. If you're quite sure to devote yourself in the position, just click the link Apply On-line at the bottom of the page to move on to the next step. Login by entering your e-mail address and password if you've previously create an Allegiant Air profile or you can click the link to create a new account if you're a first time user. 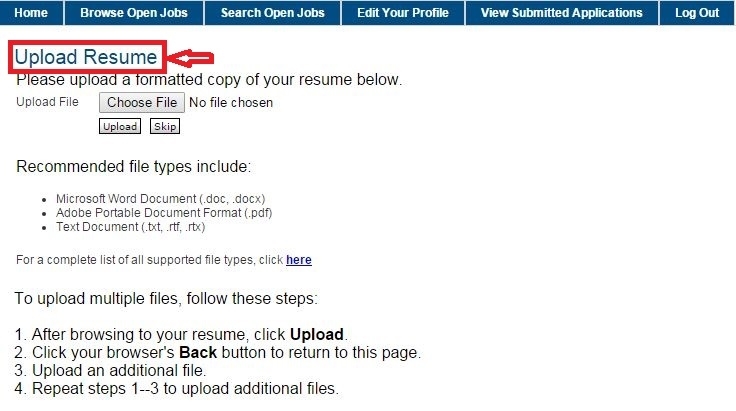 Upload a formatted copy of your resume by choosing file from your computer and then fill out your background information by answering some questions like "Are you related to a Team Member who works for Allegiant Travel Company?" "Have you ever been employed by Allegiant?" etc.. 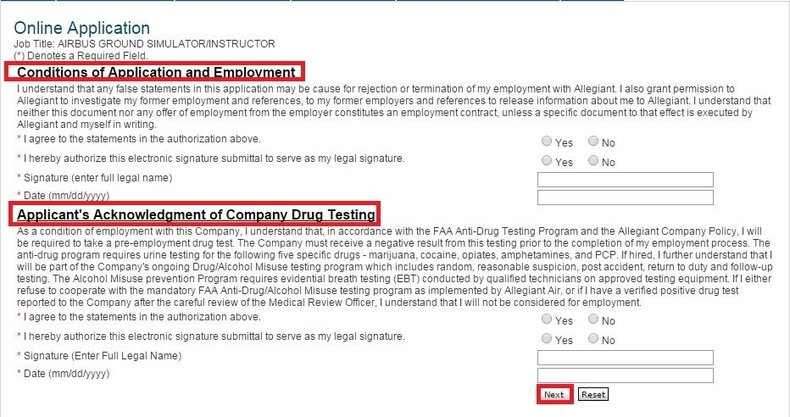 Step 7 requires you to agree to the statements: Conditions of Application, Employment and Applicant's Acknowledgment of Company Drug Testing, Disclosure that Consumer Reports May be Obtained for Employment Purposes, Authorization to Obtain Consumer Reports for Employment Purposes and Acknowledgment of Receipt of “A Summary of Your Rights Under the Fair Credit Reporting Act and then enter your full legal name as your e-signature and date you sign. Afterwards, you could click "Next" to move on with the application. 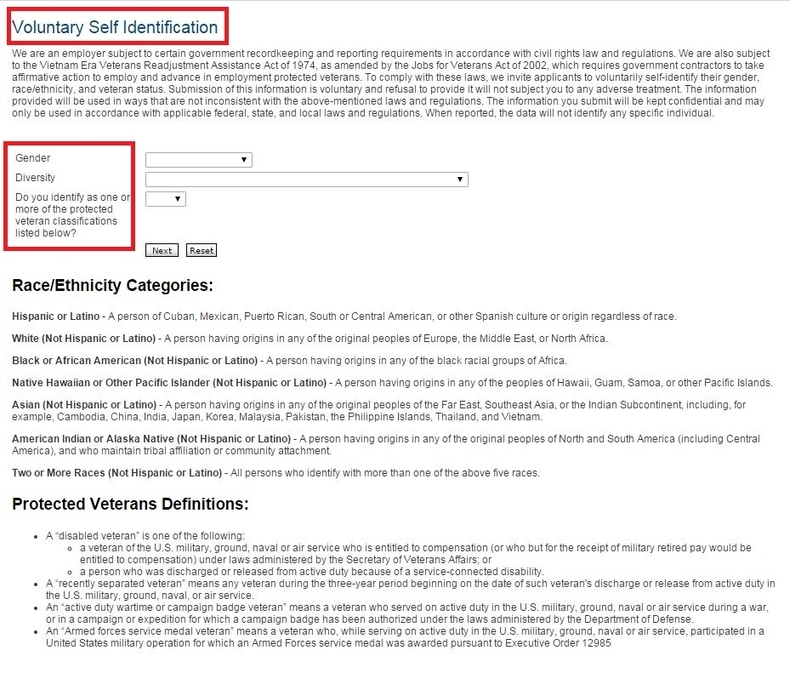 Check the Race/Ethnicity Categories and Protected Veterans Definitions and Reasonable Accommodation Notice listed and identify yourself by selecting your gender, diversity, veteran and disability status. 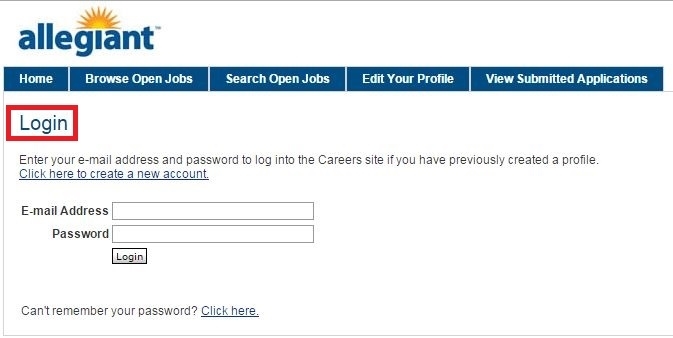 After 8 steps of filling out info, you get to the final destination of competing the whole online application. 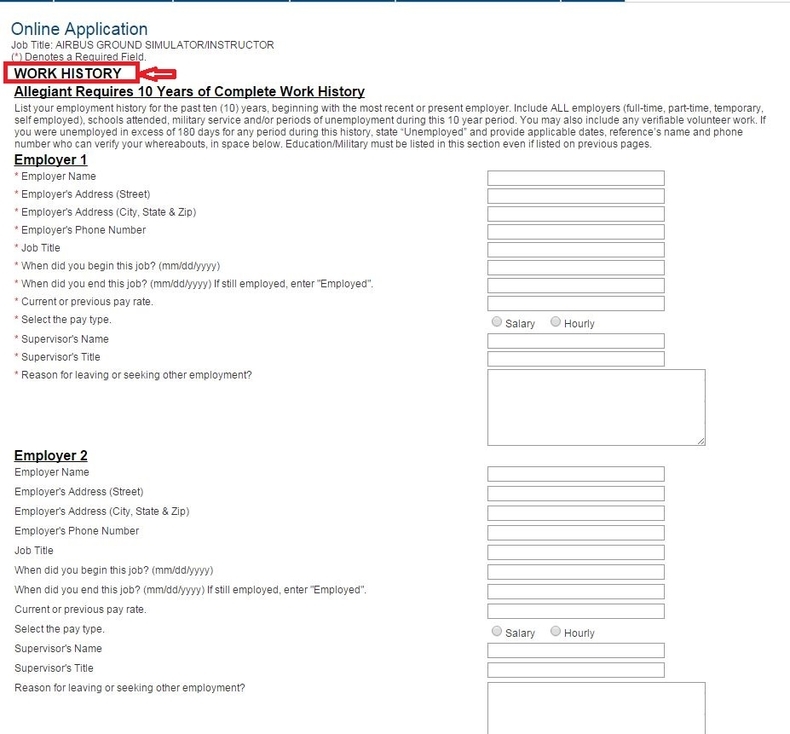 On the final page, you can see the notification that your resume has been received and will be reviewed. Allegiant Air will contact you should they determine a match between your background and our staffing requirements. You can click "Viewed Submitted Applications" to view your status of application. 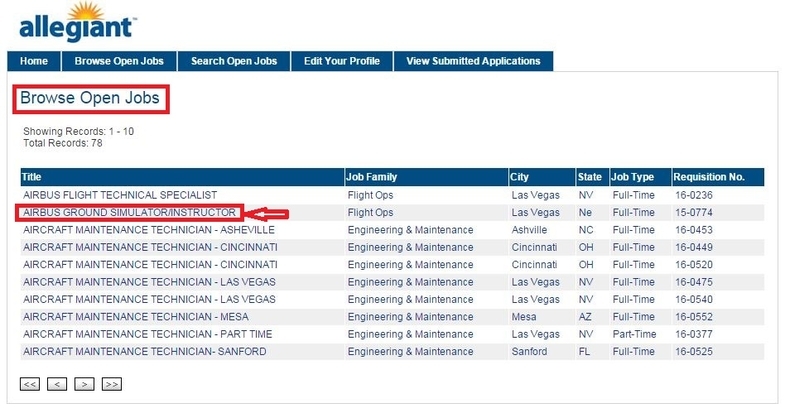 Click allegiantair.com/careers to apply for Allegiant Air jobs online.